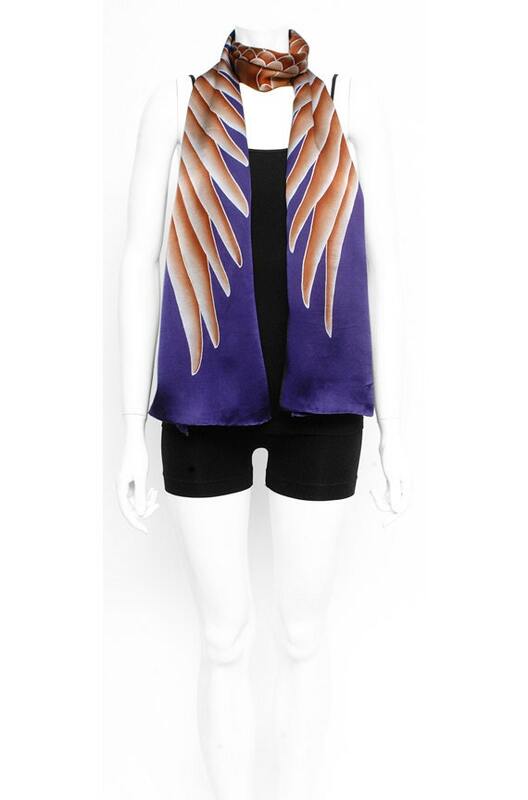 This unique crane wings hand painted silk shawl is painted in blended brown with a blue background. 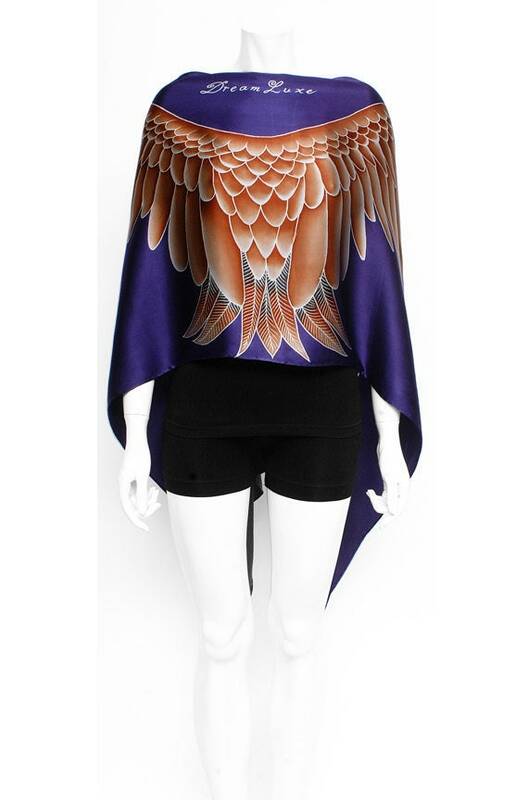 This authentically hand painted shawl is inspired by Japanese art of the crane. 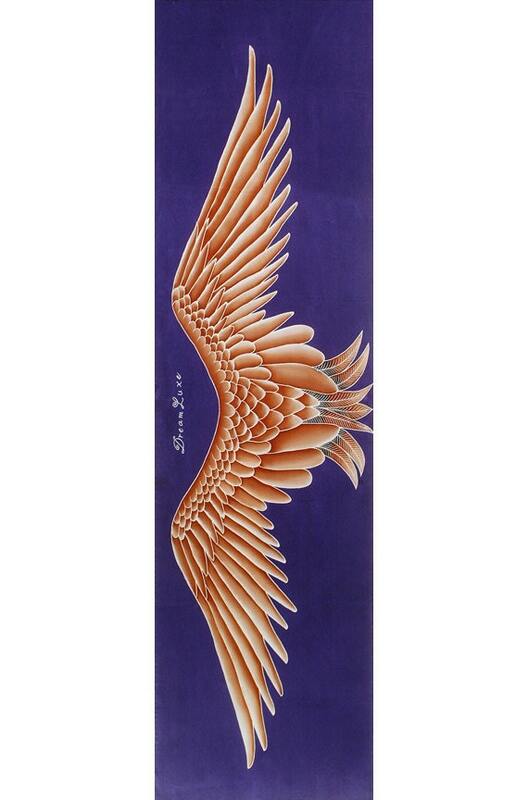 The wings symbolize happiness, good fortune, longevity, and eternal youth. 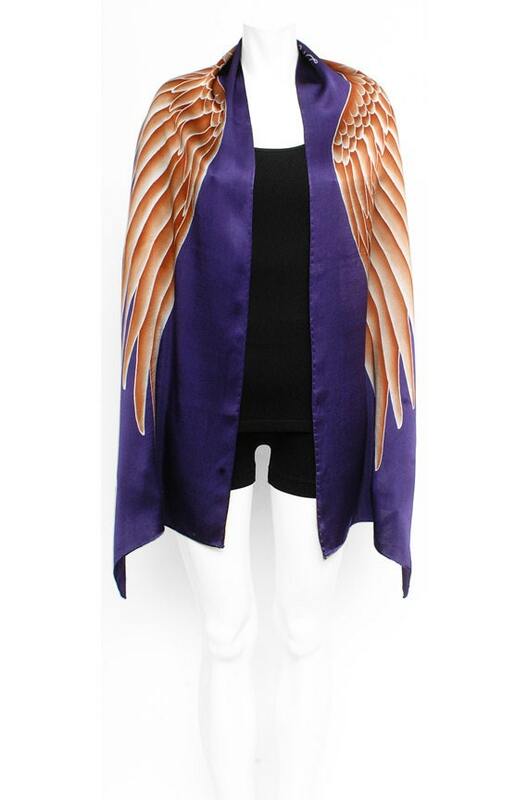 This majestic wearable work of art is elegant and beautiful and looks great with any outfit, casual or formal. It's painted on soft high quality silk. 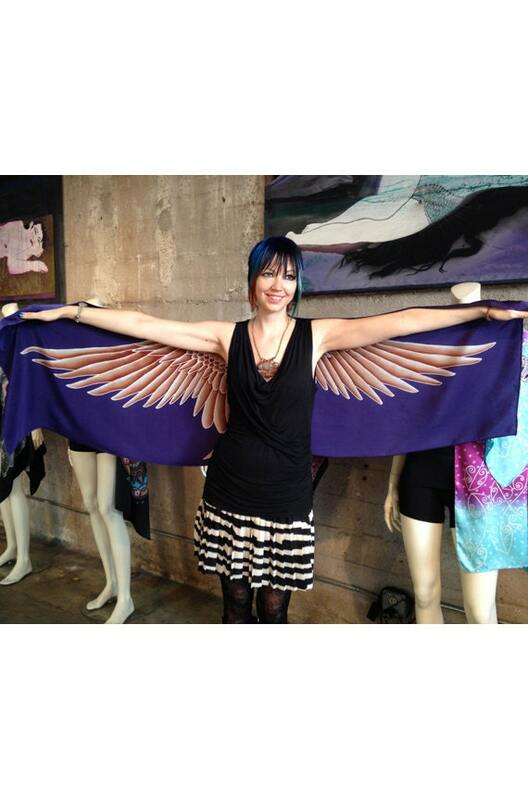 This will make an unforgettable one-of-a-kind gift to anyone that loves luxurious wearable art. Perfect for your wife, girlfriend, bestfriend or for yourself. This scarf is 100% hand made and painted using the ancient technique of Batik. It took 4 days to finish this one of a kind work of art.